A leader of the Chinese. Shun was a very enlightened leader, but very harsh on his people. He put people to death if they didn't agree with his leadership decisions. If they weren't put to death they were either whipped or fined for a small offence. During this dynasty, the emperor would employ people to look after four groups; military, farming, construction workers and textile labour. The Chinese were in battles with mostly the invaders and the Huns. It was very common for them to be in war and for them to send out their military.The soldiers were treated like pawns by the king and other leaders. The Shan Dynasty were ruthless and would even send out families to fight in battles.They would send a family out beacuse they thought they would fight better with each other. Even in the ancient times their army was very well organised and developed. The military history of Ancient China can be traced down to the early 1500 BC. In 1040BC the leaders tried to improve the way the Chinese goverment worked. The new form of government fell apart in the Warring states period (403- 221 BC). The new emperors made the counrty fall apart even more. The Qin Dynasty ruled the and which tried to reform the unified the country. They unified the counrty more by building the Great Wall of China. 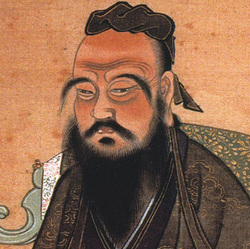 Confucius was born in 551 BC and died in 479 BC. Confucius taught people how to function within a society. He taught on his beliefs of the ancient Chinese traditions. His teachings had an impacted on the lives of the Chinese people, which continues even to this day. 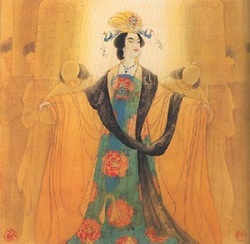 She was the first women emperor in Chinese history. She ruled from 690 to 705. She went to great lengths to stay in power. The Chinese were criticised by letting a women have so much power. He was the longest ruler of China from 1661 to 1722. He was the second ruler from the Qing dynasty to rule China. He was regarded as the greatest emperor.